Membership is available on several levels to meet a variety of needs. Full Club Members enjoy use of all the Club's facilities, including the golf course. 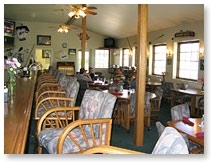 Social Members have full use of the dining room and bar / lounge facilities. Social Plus Members have full use of the pool, dining room and bar / lounge facilities. Different rates are available for single, families, out of country and out of state members. Contact Karla Frazee, Club Manager, for more information on joining the Chillicothe Country Club.